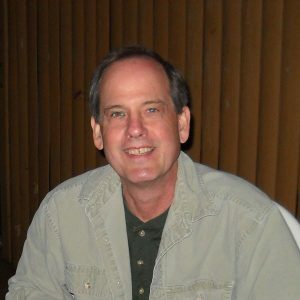 Bob Phillips was a great father, a husband, an environmentalist, an environmental engineer, a musician, a drummer, an aspiring keyboard player, a deep lover of music and particularly soul, r&b and especially Motown, and a great friend to all who knew him. From 1963 until his sudden and unexpected passing on November 30, 2018 he was the drummer, percussionist and the steady backbone that kept one of Grand Rapids, Michigan’s most loved garage/basement bands, The Invaders, performing and recording with the same line-up for 55 years. 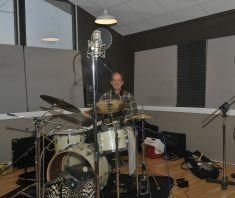 Bob also did studio work with other local musicians and was the drummer in several other projects including the soul/r&b group Soularium. 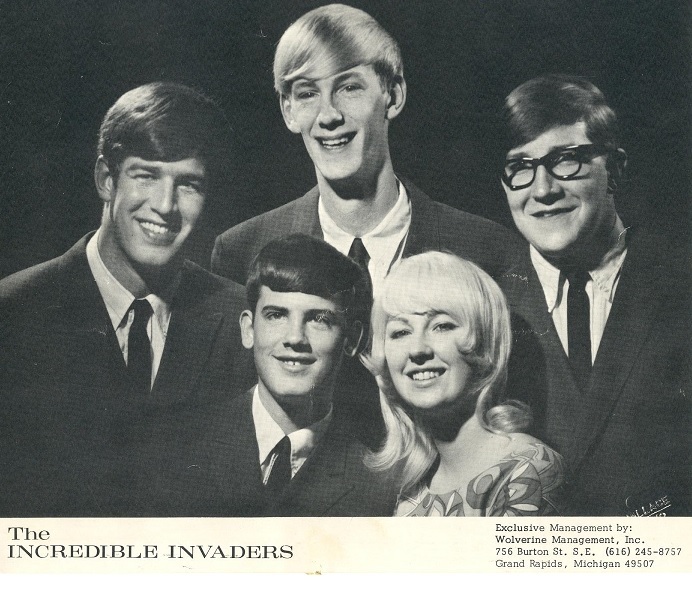 The golden performing and recording era for Bob and The Invaders came in the 1960’s in combination with West Michigan vocalist Lyn Nowicki as they performed and recorded as Lyn and The Invaders in virtually every venue in Michigan, opened shows for groups such as Paul Revere and the Raiders and more. 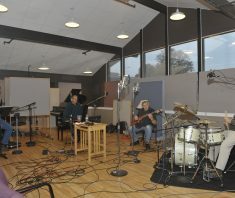 The group traveled in Canada, New York and Massachusetts performing and recording. 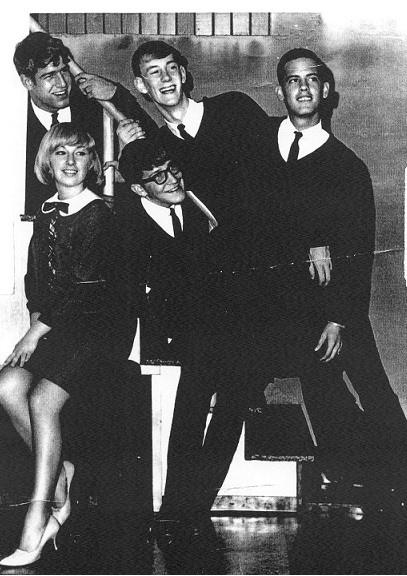 Their first single recording, Boy Is Gone, was recorded in 1966 at Fenton Studios and is featured in the Fenton records commemorative collection titled “Scream Loud, The Fenton Story.” Some of the group’s recent work is featured on their “Then and Now” CD of 2014. Bob Phillips alias Bob Bogle. Bob is 19, 5’9” tall and weighs 118 lbs, has brown hair and green eyes. Bob graduated from South High School with Dave and Fred. Bob is the drummer of the group, and a real fab one at that. He taught himself how to play the drums. Bob describes himself as a syncopate (look that up). Bob is one of the original member of the Invaders along with Dave. 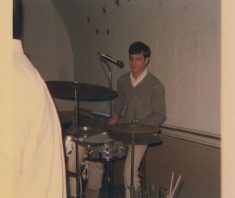 Before Dave started the group along with a friend, he was in four other bands. Among Bob’s hobbies are skiing and motorcycling. Bob also had one child, a daughter named Erica. He and David Bergsma (guitar player of the band) were very close friends, and actively collaborated in song-writing and trying to record under recent incarnations of The Invaders, with a few different singers, these last few years. Even though David lives in Arizona, and Bob in Michigan, they made it work, and DID record some original songs, in the last couple of years. 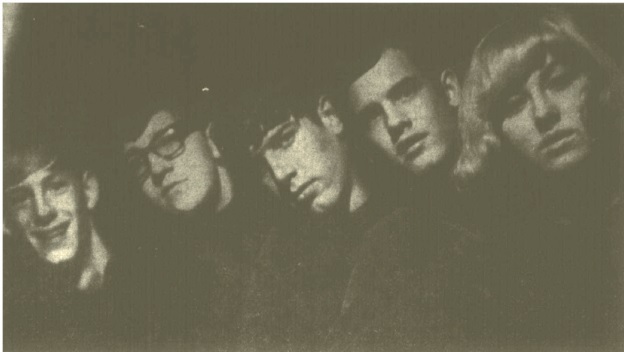 De Cook left band 1965. Added Fred Munch (South High) Keyboard, and Randy Bear (Ottawa High) on Bass. Randy was later replaced by Doug Pollak (Creston…or Central High). 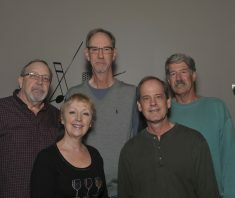 Worked with the core group of Dave, Bob, Fred, Doug, and Lin’ for a couple of years, playing “Teen Clubs,” college parties and dances before adding Roger Harcourt (from Cadillac) to the band, more guitar/vocal. Roger left after a few months. Invaders disbanded and soon reformed as a new band called the Commom People, but that’s another story. I hope this peaks your interest… LOTS of Lore goes with….Battles of the Bands, Drama, Romance, Music friends from all over the state, a trip to New York, sleazy agents, and more. What a way to spend your high school heydays! And putting out some great souds too. Live Love Laugh Learn… It was great, Wouldn’t change a thing! Incidently, David, Bob, a couple of new guys, and myself are currently working on a new musical project called “Boomerang.” Yes, the dinosaurs STILL ROCK!!! You might be interested to know that we original band-members will be performing the song (Boy Is Gone) May 5th, at The West Michigan Music Hysterical Society’s Extravaganza, in Grand Rapids MI. Historian Tom Maas of the Wyoming (Michigan) Historical Society provided 1966 and 1967 South Kent News/ Wyoming Advocate newspaper columns called the “Young Set” because he knew you would be excited to see what he had located! Credit for these scans goes to the Wyoming Historical Commission. They were all located on microfilm until the commission OK’d and financed the creation of PDF images from these microfilm copies. 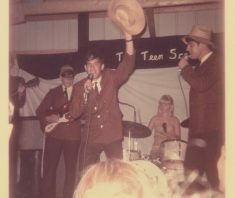 These newspaper pages include articles and pieces of information about local bands and disc jockeys, as well as dances that were occurring during these years. Also included are announcements for concerts and battle of the bands competitions, and other surprises. We have decided to present the contents of these pages with a thematic format. 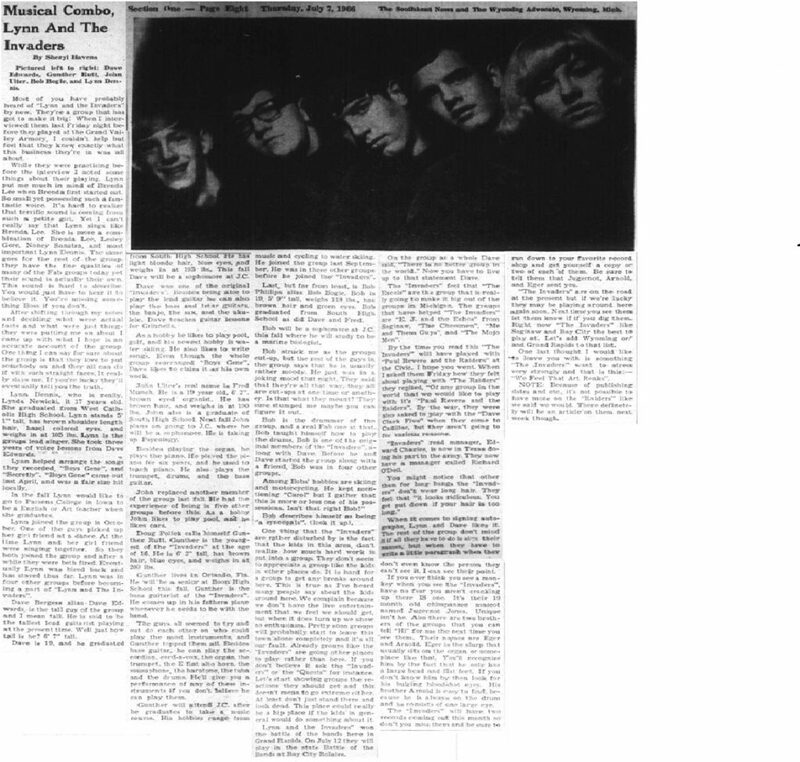 Our first feature is about a Grand Rapids band called Lynn and the Invaders from an article dated July 7, 1966. It is based on an interview which Sheryl Havens did with this band. 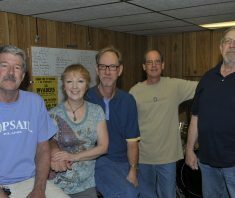 Most of you have probably heard of Lynn and the invaders by now. They’re a group that has got to make it big! When I interviewed them last Friday night before they played at the Grand Valley Armory, I couldn’t help but feel that they knew exactly what this business is all about. While they were practicing before the interview I noted some things about their playing. Lynn put me much in mind of Brenda Lee when Brenda Lee first started out. So small yet possessing such a fantastic voice. It’s hard to realize that terrific sound is coming from such a petite girl. Yet I can’t really say that Lynn sings like Brenda Lee. She is more of a combination of Brenda Lee, Leslie Gore, Nancy Sinatra and most important, Lynn Dennis. The same goes for the rest of the group, they have the fine qualities of many of the Fab groups today yet their sound is actually their own. This sound is hard to describe. You would just have to hear it to believe it. You’re missing something Boss if you don’t. After shifting through my notes and deciding what were just things they were putting me on about, I came up with what I hope is an accurate account of the group. One thing I can say for sure about the group is that they love to put somebody on and they call can do it with straight faces. It really slays me. If you’re lucky they’ll eventually tell you the truth. Lynn Dennis, who is really Lynda Nowicki, is 17 years old. She graduated from West Catholic High School. Lynn stands 5’ 1” tall, has brown hair, hazel colored eyes and weighs in at 105 lbs. Lynn is the group’s lead singer. She took three years of voice lessons from Eric Weaver. Lynn helped arrange the songs they recorded, Boy is Gone and Secretly. Boy is Gone came out last April, and was a fair size hit locally. In the fall, Lynn would like to go to Parsens College in Iowa to be a English or Art teacher when she graduates. Lynn joined the group in October. One of the guys picked up her girl friend at a dance. At the time Lynn and her girl friend were singing together. So they joined the group and after a while both were fired. Eventually Lynn was hired back and has stayed thus far. 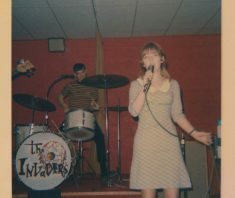 Lynn was in four other groups before becoming a part of Lynn and the invaders. Dave Bergess alias Dave Edwards, is the tall guy of the group and I mean tall. He is said to be the tallest lead guitarist playing at the present time. Well, just how tall is he? 6’7” tall. Dave is 19, and he graduated from South High School. He has light blonde hair, blue eyes and weighs in at 195 lbs. This fall Dave will be a sophomore at JC. Dave was one of the original Invaders. Besides being able to play the lead guitar he can also play the bass and banjo, sax and ukulele. Dave teaches guitar lessons at Grinnell’s. As a hobby he likes to play pool, golf, and his newest hobby is water skiing. He also likes to write songs. Even though the whole group arranged Boy is Gone, Dave likes to claim it as his own work. John Utler’s real name is Fred Munch. He is 19 years old, 6’2” brown eyed organist. He has brown hair and weighs in at 190 lbs. John is also a graduate of South High School. Next fall John plans on going to JC where he will be a sophomore. He is taking up Psychology. Besides playing the organ, he plays the piano. He played the piano for six years, and he used to teach piano. He also plays the trumpet, drums, and the bass guitar. John replaced another member of the group last fall. He had the experience of being in five other groups before this. As a hobby John likes to play pool, and he likes cars. Doug Polleck calls himself Gunther Rutt. Gunther is the youngest of the invaders at the age of 16. He is 6’2” tall, has brown hair, blue eyes and weighs in at 200 lbs. Gunther lives in Orlando, Florida. He will be a senior at Boon High School this fall. Gunther is the bass guitarist for the Invaders. He comes up in his father’s plane whenever he needs to be with the band. The guys all seemed to try and out do each other on who could play the most instruments and Gunther topped them all. Besides bass, he can play the accordion, cord-o-vox, the organ, the trumpet, the E flat alto horn, the sousaphone, the baritone, the tuba and the drums. He’ll give you a performance on any of these instruments if you don’t believe that he can play them. Gunther will attend JC after he graduates to take a music course. His hobbies range from music and cycling to water skiing. He joined the group last September. He was in other groups before he joined the Invaders. Last, but far from the least is Bob Phillips alias Bob Bogle. Bob is 19, 5’9” tall and weighs 118 lbs, has brown hair and green eyes. Bob graduated from South High School with Dave and Fred. Bob will be a sophomore at JC this fall where he will study to be a marine biologist. Bob struck me as the group’s cut up, but the rest of the group says that he is usually rather moody. He just was in a joking mood that night. They said that they are all that way, that all are cut ups at one time or another. Is that what they meant? Bob is the drummer of the group, and a real fab one at that. Bob taught himself how to play the drums. Bob is one of the original member of the Invaders along with Dave. Before and Dave started the group along with a friend, he was in four other bands. Among Bob’s hobbies are skiing and motorcycling. He kept mentioning Carol but I gather that this is more or less one of his possessions. Isn’t that right, Bob? Bob describes himself as a syncopate (look that up). One thing that the Invaders are rather disturbed about is that the kids in the area do not realize how much hard work is put into the group. They don’t seem to appreciate a group like the kids in other areas do. It is hard for a group to get any breaks around here. This is true as I’ve heard many people say about the kids around here. We complain because we don’t have the live entertainment that we feel that we should around here, but when it does show up we show no enthusiasm. Pretty soon groups will probably start to leave this town alone completely and it’s our entire fault. Already groups like the Invaders are going other places to play rather than here. If you don’t believe it ask the Quests and the Invaders. Just don’t stand there and look dead. This could be a hip place if kids in general would do something about it. Lynn and the Invaders won the battle of the bands here in Grand Rapids. 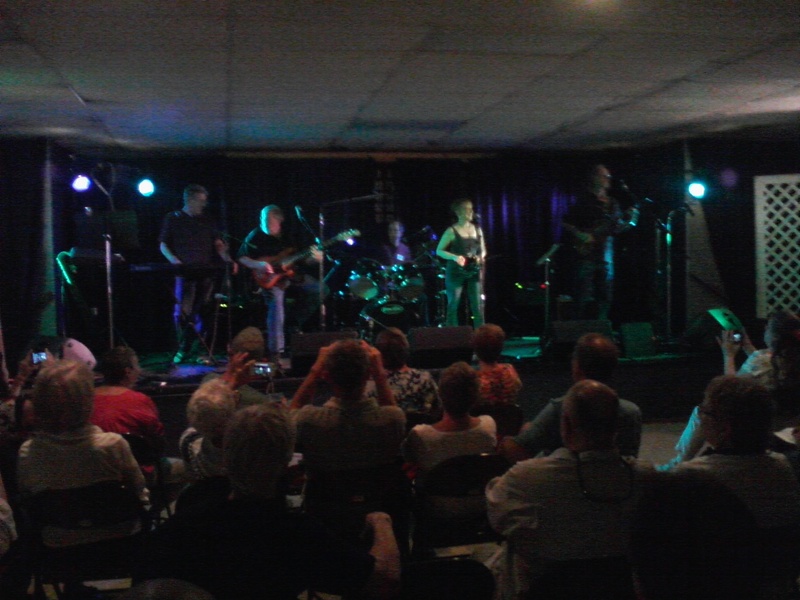 On July 12 they will compete in the state battle of the bands at the Bay City Rolaire. On the group as a whole Dave says there is no better group in the world. Now you have to live up to that statement, Dave. The Invaders feel that The Excels are the group that is really going to make it big out of the groups in Michigan. The groups that have helped the Invaders are EJ and the Echoes from Saginaw, the Chessmen, Me and Them Guys, and the Mojo Men. By the time you read this The Invaders will have played with Paul Revere and the Raiders at the Civic. I hope you went. When I asked them Friday how they felt about playing with the Raiders they replied, of any group in the world that we would like to play with it’s Paul Revere and the Raiders.” By the way, they were also asked to play with the Dave Clark Five when they come to Cadillac, but they aren’t going to for various reasons. Invaders road manager, Edward Charles is now in Texas doing his part in the Army. They now have a manager named Richard O’Dell. When it comes to signing autographs, Lynn and Dave like it. The rest of the group don’t mind it at all if all they have to do is sign their names, but not when they have to write a little paragraph when they don’t even know the person they can’t see it. I can see their point. If you ever think you see a monkey when you see the Invaders, have no fear you aren’t cracking up there IS one. It’s their 19 month old chimpanzee mascot named Jugernot Jones. Unique isn’t he? The invaders will have two records out this month so don’t you miss them and be sure to run down to your favorite record shop and get yourself a copy or two of each of them. The Invaders are on the road at the present but if we’re lucky they may soon be playing around here again soon. Right now they like Saginaw and Bay City the best. Lin and The Invaders Top Row – Fred Munch, Dave Burgess, Bob Phillips – Bottom Row Lin Nowicki, Doug Polleck. The Incredible Invaders – Top Row Fred Munch, Dave Burgess, Doug Polleck. Bottom row Bob Phillips and Lin Nowicki. So enjoyed the article. AS a classmate of 3 of the group, I regret not being aware of their activities back in the 60’s and beyond. I can see it was my loss. Sad to see of Bob’s passing.